The 2018 Scotiabank Giller Prize-winning author discusses how the themes of freedom, brutality and steampunk adventure fit together in her latest book. Esi Edugyan is curious by nature. Her examination of life through a historical and racial lens has resulted in novels about the Black experience during Europe during the Second World War (the 2011 Scotiabank Giller Prize-winning Half-Blood Blues) and racism and mental health in 1968-era Alberta (with the 2004 debut The Second Life of Samuel Tyne). Her third novel, Washington Black, tells the story of 11-year-old Washington "Wash" Black, a slave on a Barbados sugar plantation in the 19th century. His master is Englishman Christopher Wilde, who is obsessed with developing a machine that can fly. 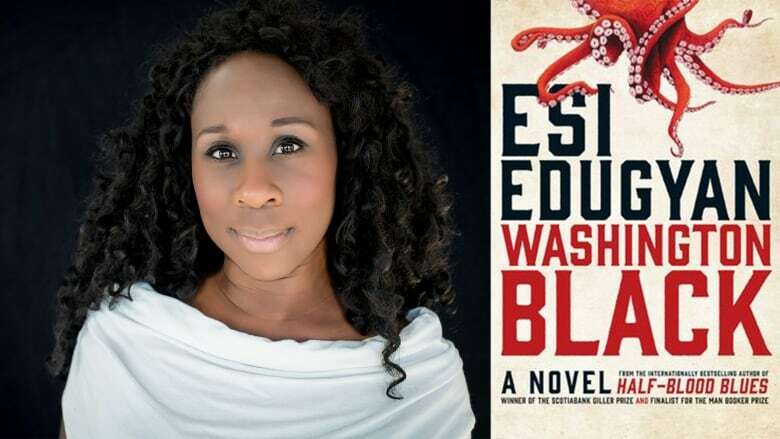 When a man is killed, Wilde must choose between his family and saving Black's life — and the choice results in an epic adventure around the world for Wash.
Below, Edugyan explains how she wrote Washington Black. Edugyan won the 2018 Scotiabank Giller Prize, a $100,000 literary award, for Washington Black. It's the second time she's won the prize. The novel was also on the 2018 shortlist for the Man Booker Prize and the 2018 shortlist for the Rogers Writers' Trust Fiction Prize. "I didn't initially set out to write a slave narrative. Several years ago I came across a real-life story about the famous Tichborne case that happened during the Victorian era in England. I started digging into it and found this completely absurd story where Sir Roger Tichborne, a young aristocratic man from a wealthy household, was shipwrecked and missing at sea off the coast of South America. His mother refused to believe he was dead and put notices in newspapers all around the world. A man in Australia claimed to be the missing man and she sends a man named Andrew Bogle, a former slave from a Jamaican plantation and now a member of the Tichborne household, down to Australia to identify him. "I started thinking about what Andrew's life might have been like, to have been born a slave and raised in such brutality — with a sense of this is your destiny — to be suddenly wrenched out of that life to live in a completely different way and to grapple with a completely different society and set of rules. That's where the interest came from." "I'm constantly researching and trying new things when writing. I do read and research widely before I start writing to figure about what's going on in the first quarter of the novel. My husband is also a writer; he might read half a draft and make a suggestion and that sends me off in a different direction. Because this book began on the plantation, there was a lot of reading about plantations and conditions in the Caribbean. I found a few detailed and interesting books that focused on Barbados. "I'm someone who writes in many drafts. There are wildly differing scenes in each draft, where the first draft of the novel looks nothing like the last draft. In an early draft, Wash wasn't an artist and when I determined that he was, it set me off reading books about science, and about marine life and marine watercolours. It was a real pleasure to read historical accounts of science discoveries and inventions — things like airships — and I was reading this fascinating research while I was writing the book." "I recently gave a keynote at a festival and had a woman come up to me irate because my published books mostly feature male protagonists. She wanted to let me know the lives of women are just as interesting as the lives of men, like that hadn't occurred to me. "My published novels have been looking at things through the male lens, that has been because of the stories I seized upon. This novel was originally to be about the life of Andrew Bogle, whose gender I wasn't about to change to make the story happen. But I started to think about what she said. I think that, for me, writing male characters has given me a sort of freedom or latitude, particularly as someone who doesn't want to write about her own life." Esi Edugyan's comments have been edited and condensed.